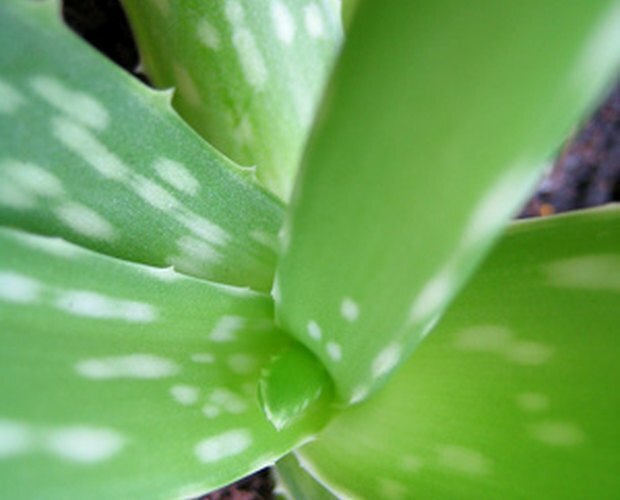 People have long been using the extract of aloe vera in the form of a gel to treat burns, bug bites and other skin issues, such as dandruff and psoriasis. The gel of the aloe vera plant can also be made into a juice that can be consumed. One benefit of the juice, according to information on the University of Maryland Medical Center's Complementary Medicine site, is that it may help lower blood sugar in people dealing with type 2 diabetes. The gel required to make the juice should be procured from a mature plant—at least three to four years of age. The juice is made with the assistance of a blender and mixed with another liquid to cut the taste of the aloe vera juice. Remove one to two leaves from the aloe vera plant by gently pulling them off. 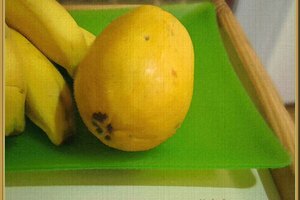 Remove the outer thorny rind of the leaves with a sharp knife. This will expose the latex of the leaves—a yellow layer found directly underneath. Cut through the latex of the plant with a sharp knife and scoop out the inner aloe vera gel with a small spoon or the tip of the knife. Place the gel into a small bowl. Examine the gel for any latex remnants. It is crucial to remove all traces of latex, as this layer has been known to cause cramping and diarrhea. Place two tablespoons of aloe vera gel into a blender that contains one cup of juice, such as orange or grapefruit juice. Blend the ingredients on a low setting for two to three minutes. Pour the juice out of the blender and consume. Perform the removal and blending of the aloe vera drink as quickly as possible, as the gel oxidizes fast. 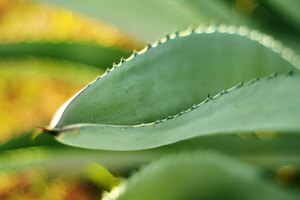 Oxidation will break down the aloe vera gel, causing it to lose some of its nutrient properties.